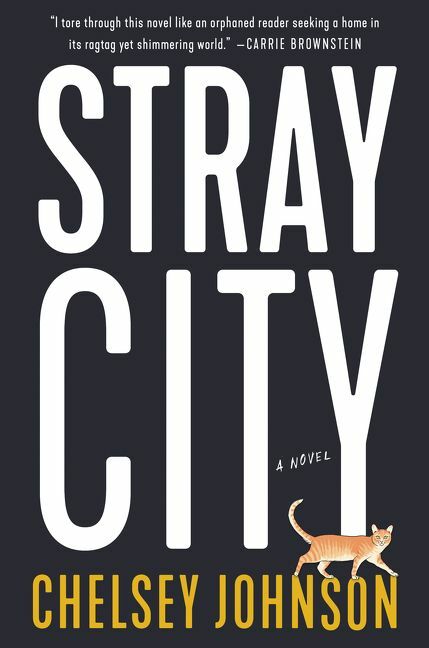 In her debut novel Stray City, Chelsey Johnson explores the notion within LGBTQ culture of creating an alternative or "chosen" family, which is vital and born of necessity. "I wanted to imagine and realize joyful, inventive, liberatory possibilities of family formation," says Johnson. This novel is also a story about finding yourself by breaking the rules and making bad decisions for all the right reasons. In Stray City, 23-year-old Andrea Morales escaped her Midwestern Catholic childhood, as well as the closet, to create a home and life for herself within the thriving but insular lesbian underground of Portland, Oregon. Here is a sampling of how Johnson writes about Andrea coming to school in Portland, "I was a week shy of eighteen when I arrived at Reed College. Here, instead of being the queer girl who was invisible to the straights, I found myself the queer girl who was invisible to the queers; still so Midwestern, my dark hair pulled back in a ponytail, new sneakers, jeans from the department store. Most of my fellow freshmen arrived in band T-shirts and Doc Martens and haircuts I had never even considered a possibility, as if they'd already taken AP Cool I and II at their suburban magnet schools. They walked right past me. "I looked for the Riot Grrrls I'd read about in zines, but the local chapter had already closed up shop. A heart-pounding visit to the orientation-week meeting of the gay student group yielded a hangout and then date with a junior named Siri, who showed up at the proposed coffee shop in a long skirt and hiking boots and a deadly little hat. Siri had sunny freckles and had already bought tickets to the Melissa Etheridge concert coming in December. She took me to a party off Division Street that was not only students but adult lesbians. I had still hardly met any lesbians my own age, much less an adult of the species, and the house was packed. These lesbians were pros, labrys-bearers with full libraries of everything woman-on-woman written since the seventies. I ran my finger over the spines of books named Lesbian/Woman and Daughters of a Coral Dawn and the complete works of Elana Dykewomon and miles of mystery paperbacks. Purple was everywhere: the front door, the blouses, the frames of eyeglasses, the collar of the cat inevitably named Luna. The place had a warm, herbal smell. It was a house where I would have liked to curl up in the afternoon and take a long nap. "But it was evening and lesbians were everywhere. Siri was utterly at home, stocked with knowing laughs, pausing to sing along to a favorite righteous line in the background music. I sat on a hard dining chair in the living room and tried to interact competently, my voice oddly strangled. All this herstory. I was so far behind. The magnitude of the studies I'd need to do loomed over me. I was in another kind of church. I missed, for the first time, Nebraska, where at least I knew the terrain and how to make my way through a conversation. "At the bus stop, Siri turned to me and tilted her chin down coyly. A pit formed in my stomach. It was my second chance ever to kiss a girl, and I couldn't do it. I gave her a quick hug and said, 'Thanks so much, see you at the next meeting.' And scurried onto my bus. I glanced back as it pulled away. A breeze had picked up, and Siri stood there with one hand holding her hat to her head, the other hanging uncertainly at her side. I gave an apologetic wave, and her hand rose as if it were tied to a deflating balloon. "Maybe I'm not cut out to be a lesbian after all, I thought. Maybe I had just loved Zoe, a fluke. Lonesomeness belted my heart. I went back to my dorm room and put on my headphones and lay on the floor, thin carpet over concrete, a surface that had never lived. The Discman rested on my chest, spinning inside." Things change dramatically for Andrea when one drunken night, while reeling from a bad breakup and a friend's betrayal, she recklessly crosses enemy lines and hooks up with a man. Soon after, to her complete and utter shock, Andrea discovers she's pregnant. Despite the concerns of her astonished circle of gay friends, she decides to have the baby. A decade later, when her precocious daughter Lucia starts asking questions about the father she's never known, Andrea is forced to reconcile the past she hoped to leave behind with the life she's worked so hard to build. 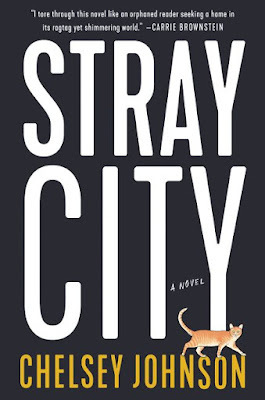 Stray City is a thoroughly modern and original antiromantic comedy, and an entertaining literary debut for Johnson, who received an MFA in fiction from the Iowa Writers' Workshop, where she was a Teaching Writing Fellow, and a Stegner Fellowship From Stanford. Johnson's stories and essays have appeared in publications including Ploughshares, One Story, Ninth Letter, The Rumpus, and NPR's Selected Shorts. Monday, March 26th at Books Are Magic, 225 Smith Street, Brooklyn, NY 11231, located on the corner of Smith and Butler. For more information, call 718-246-2665 and check out booksaremagic.net. It will be a reading and conversation with Rumaan Alam.